COSTA MESA, Calif. /California Newswire/ -- Simple Recovery, a leading Chemical Dependency Treatment Center in Orange County, California, announced today their ability to provide in-network addiction treatment services through 14 major insurance carriers, including Anthem Blue Cross. COSTA MESA, Calif. /California Newswire/ -- Emilio N. Francisco, Chairman and CEO of PDC Capital Group, has been named a Partner of Hope by Goodwill Southern California. The Goodwill Partner of Hope program allows generous donors to make regularly scheduled donations that fund education, job-training and job-placement services for individuals with physical or mental disabilities or other difficulties finding a job. COSTA MESA, Calif. /California Newswire/ -- In response to the surge in EB-5 applications from mainland China, the U.S. State Department has announced a cutoff date for immigrant investors from mainland China applying for permanent residency in the U.S. through the EB-5 visa program, according to PDC Capital Group. COSTA MESA, Calif. /California Newswire/ -- Emilio N. Francisco, Chairman and CEO of private equity firm PDC Capital Group, today announced the acquisition of ZGlobal Southern California EB-5 Investment Regional Center. COSTA MESA, Calif. /California Newswire/ -- Emilio N. Francisco, Chairman and Chief Executive Officer of private equity firm PDC Capital Group, LLC, in Calif., announces a company-wide effort to increase scrutiny of potential investors it recruits for EB-5-funded projects. COSTA MESA, Calif. /California Newswire/ -- Emilio N. Francisco, Chairman and Chief Executive Officer of private equity firm PDC Capital Group, today announced that PDC will give priority to military veterans when recruiting new hires to one of its companies. COSTA MESA, Calif. /California Newswire/ -- Emilio N. Francisco, Chairman and Chief Executive Officer of private equity firm PDC Capital Group, today announced that Pat Brown is joining senior housing real estate company SummerPlace Development as Project Manager overseeing the development of SummerPlace Assisted Living and Memory Care projects. PDC Capital Group raising $45M in EB-5 immigrant investor funds to assist biodegradable organic chemical firm Clear Currents Inc.
COSTA MESA, Calif. /California Newswire/ -- Emilio N. Francisco, Chairman and Chief Executive Officer of private equity firm PDC Capital Group, today announced that PDC is raising $45 million in EB-5 immigrant investor funds to assist biodegradable organic chemical products firm Clear Currents, Inc.
COSTA MESA, Calif., /California Newswire/ -- LendingQB, a provider of end-to-end loan origination software, today announced that Venta Financial Group, Inc., a wholesale and retail mortgage banker, has experienced stellar results since implementing its browser-based end-to-end loan origination system (LOS). COSTA MESA, Calif. /California Newswire/ -- LendingQB, a provider of end-to-end loan origination SaaS, announced that it will be holding a free webinar on why lenders struggle to successfully implement new loan origination technology systems (LOS). The webinar will be held on March 27, 2013, at 1 p.m. Eastern Time. COSTA MESA, Calif. /California Newswire/ -- LendingQB, a provider of end-to-end loan origination software, announced that it will be exhibiting at the Texas Mortgage Bankers Association annual Southern Secondary Market Conference for the first time. The event will be held at the Marriott Woodlands Waterway Hotel and Convention Center in Houston. COSTA MESA, Calif. /California Newswire/ -- LendingQB, a provider of end-to-end loan origination software, announced that its president, Mr. Binh Dang, has been named to National Mortgage Professional magazine's Top 40 Most Influential Mortgage Professionals Under 40 list. COSTA MESA, Calif. /California Newswire/ -- LendingQB, a provider of seamless mortgage lending technology, announced that it completed an integration with ComplianceEase, the leading provider of mortgage compliance and risk management solutions. LendingQB integrated ComplianceEase's ComplianceAnalyzer product with its end-to-end loan origination system. COSTA MESA, Calif. /California Newswire/ -- Kelly Weppler of WH and Associates, an Orange County marketing firm, has announced that she will be presenting several key educational sessions for small business owners at The Microsoft Store at South Coast Plaza in Costa Mesa, Calif. As one of six Duct Tape Marketing Master Consultants, Kelly writes and speaks about helping small business marketing. COSTA MESA, Calif. /California Newswire/ -- LendingQB, a seamless mortgage lending platform provider, announced that iServe Residential Lending, LLC, a retail mortgage banker, has reported a dramatic increase in employee productivity, slashed technology costs, and reduced costs per loan since implementing LendingQB. iServe selected LendingQB approximately a year ago because it eliminated having to use multiple platforms, databases and integrations. COSTA MESA, Calif. -- For the thirty-fourth consecutive year Prince of Peace School announces a great day of family fun! 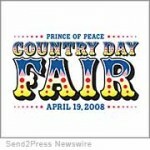 The Annual Country Day Fair is happening Saturday, April 19th, 10 a.m. - 3 p.m. in Costa Mesa. Prince of Peace Church and School have been a community anchor in the Mesa Verde community of Costa Mesa for over 40 years. COSTA MESA, Calif. -- Today was a perfect Southern California day for students at Prince of Peace Christian School: warm, sunny, with a 100% chance of learning. Students from pre-school to sixth grade observed and tended their seedling crop. The young plants are three to four inches high and ready to be harvested and transplanted to a field where food is farmed specifically for the benefit of local families in need.